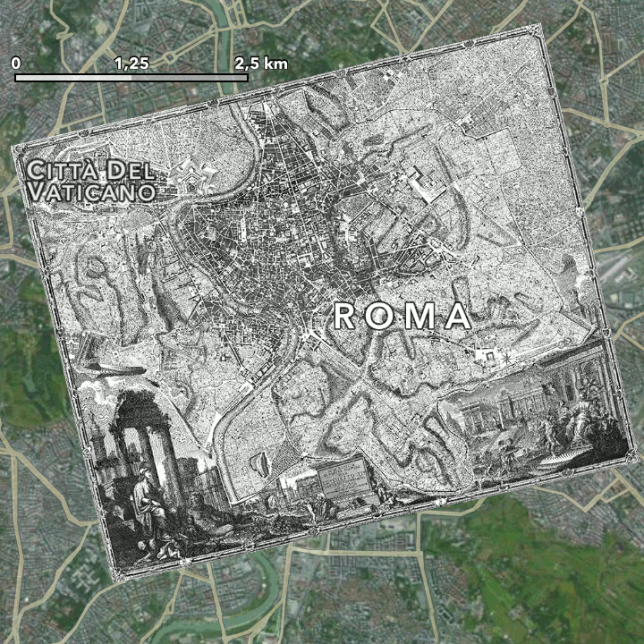 The Nolli Map of Rome is one of history’s most famous works of cartography, and now a new iPhone and iPad app lets you use it to navigate in realtime, helping you both lose and find yourself in one of Europe’s most marvelous ancient cities. 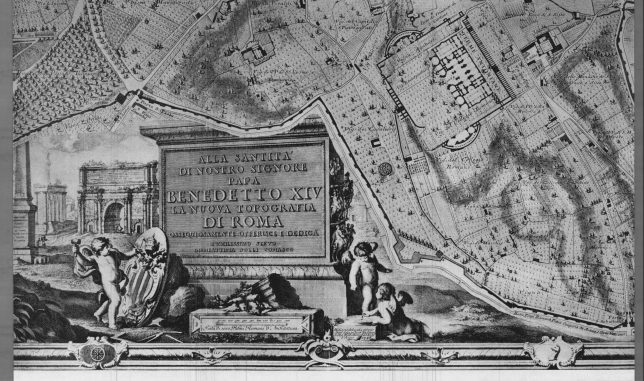 Finished in 1748 after 12 years of research by Italian architect and surveyor Giambattista Nolli, this innovative map represented a novel approach to figure-ground representation. Streets and open public spaces were, for instance, predictably depicted as voids against a backdrop of solid hashes, but so to were enclosed civic spaces like the Pantheon. 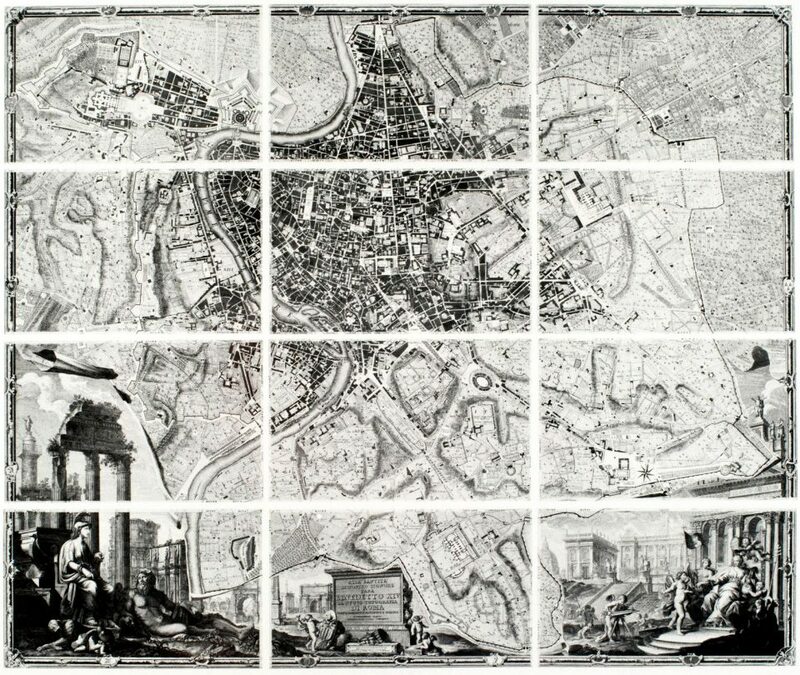 The original engraved city map consisted of 12 copper plates spanning 40 square feet, and, at the time, was the most accurate representation of the city to date. Honoring that tradition, this digital experience replicates many original features and details from the vintage original. Think of it as part walking tour, part adventure and part historical education. 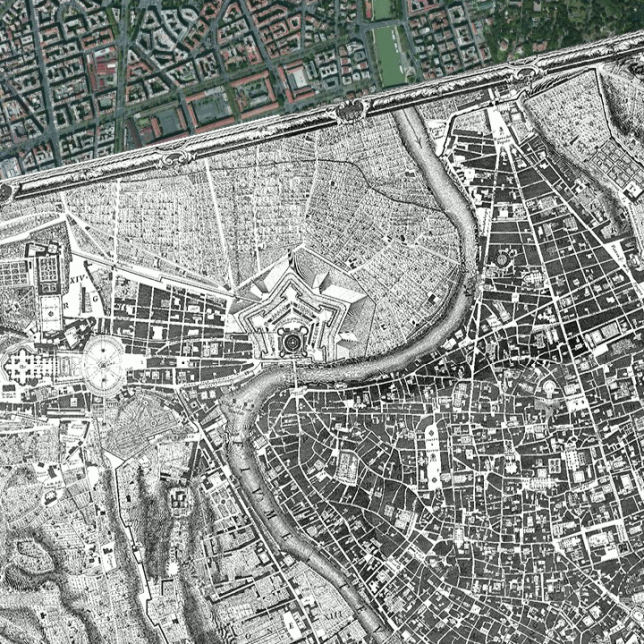 Using an old map to navigate a city lets you find things that might have otherwise escaped your attention. 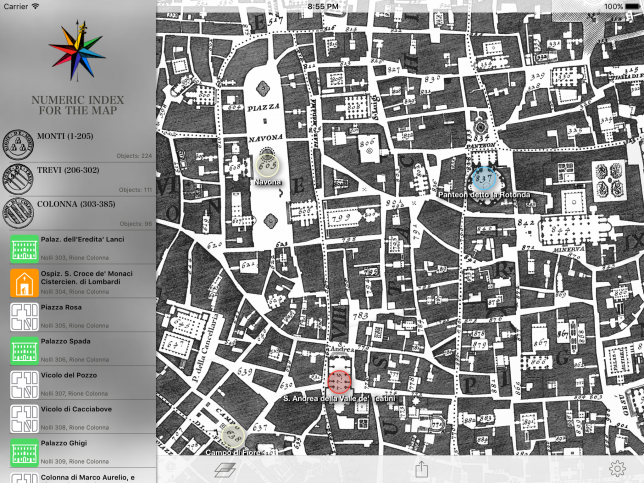 It also allows you to distinguish between more permanent fixtures of the historic built environment and more contemporary changes and additions. 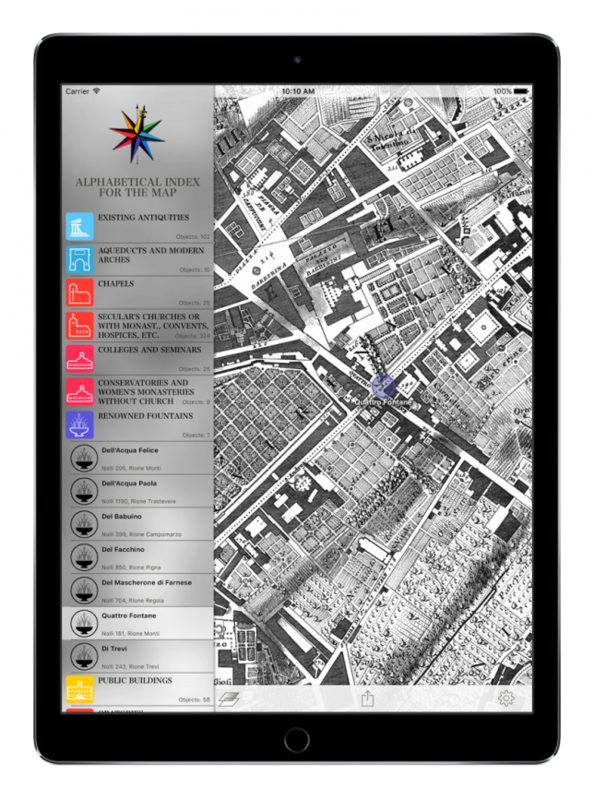 If you lack a compatible device for the app, you can also check out an online interactive (but less mobile) version of this iconic map.